Harland Harold Crane, a resident of Paris, went home to be with the Lord on February 9, 2019, at the age of 83. He was a patient at the River Valley Hospice Home in Russellville, Arkansas since January 27, 2019. Harland was born on December 5, 1935, to Eugene Leonard and Neva Jane Bird Crane at the family home south of Bedford, Iowa. He was a graduate of the class of 1953 at Bedford, Iowa. He served in the National Guard as cook 1955 to 1957. On March 5, 1955 he married his high school sweetheart, Joyce Ellen Geer. She preceded him in death on December 16, 1995. Harland and Joyce spend their early life farming on the family farm at Bedford, Iowa. They moved to Princeton in 1969 and turned his hobby into a family business. They owned and operated Crane Sawmill. In August 1977 they moved to Paris Arkansas where he cut and sold pulp wood and pulled rock to sell. He continued sawing lumber and making pallets at the time of retirement. On October 19, 1998 he was married to Ruth Marie Puckett and she preceded him in death June 4, 2004. Beside his wives, Harland was preceded in death by his parents, one brother, Orville Raymond Crane, daughter-in-law, Dana Lynn Crane and a brother-in-law, Denzil McIntosh. 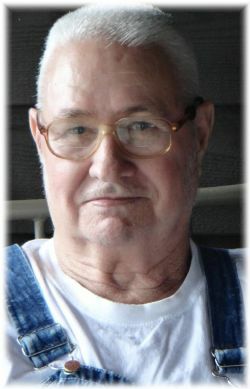 He is survived by three sons, Harland Harold Crane, Jr. and Thomas Lee Crane, Sr. and wife, Tracy of Paris, Arkansas and Raymond Crane of Little Rock, Arkansas; two daughters; Carol Jean (Crane) Leeper and husband, Dale Alan Leeper of Trenton, Missouri and Jennifer Lynn (Crane) Key of Scott, Arkansas; nine grandkids, Timothy ''Hooter'' Crane and wife, Jennifer of Waldron, Arkansas, Steven Crane and wife, Karen of Paris, Sara (Crane) Fox and husband, Paul of Scranton, Troy Levi Crane of Paris and Thomas Lee Crane, Jr. of Scranton, Samantha Jo Key of New York City, New York, Jordan Walker Key and wife, Katherine Ann of Atlanta, Georgia, Courtney Lynn Leeper of Ardmore, Oklahoma and Elizabeth LeeAnn Leeper of Trenton, Missouri; ten great grandchildren; two great-great grandchildren; a sister, Beverley McIntosh of Ballwin, Missouri; two sisters-in-law, Evelyn Cerven and husband, Duane of Blanchard, Iowa, Marilyn Geer of San Jose, California; a brother-in-law, Randy Geer and wife, Teri of Lincoln, Nebraska and several nieces and nephews. Visitation will be held from 5:00 p.m. until 7:00 p.m., Tuesday, February 12, 2019, at the Roller Funeral Home in Paris. The funeral service will be held at 11:00 a.m., Wednesday, February 13, 2019, at the Roller Funeral Home Chapel in Paris with the Rev. Steve Shipley officiating. Burial will follow in McKendree Cemetery near Subiaco under the direction of Roller Funeral Home in Paris. Pallbearers will be Paul Fox, Timothy Crane, Steven Crane, Troy Crane, Thomas Crane, Jr. and Mike Covey. In lieu of flowers the family request memorial gifts to the Lighthouse Worship Center, Paris Arkansas, McKendree Cemetery or Arkansas Hospice River Valley Home, Russellville, Arkansas. Click Play below to view the Video Memorial for Harland Harold Crane. If you would like to order a DVD copy of the video, please contact the funeral home at 479-963-2733.